View More In Dent Removal Tools. 3.Pull the trigger and the molten glue will flow out from copper gun nozzle. 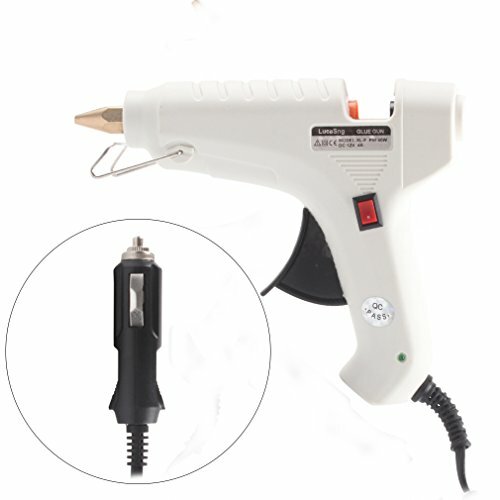 3.Sometimes the remaining pressure inside the glue gun will push a little molten glue out of the gun after switching off, please switching off a few minutes in advance to save your glue. Having 10 years' experience in this particular line of business, Lucasng enjoys high reputation for the excellent quality of its products. We offer various automotive accessories with superior quality and competitive price,such as steer wheel cover, seat cover set, car paintless dent repair tool, PDR tap down tool. Thank you for your kind attention. If you have any further question, please feel free to contact us. 100% QUALITY WARRANTY -if you meet any quality problem,please contact our Amazon Prime Service Customer Support line and we'll offer you a free replacement or a full refund. If you have any questions about this product by LucaSng, contact us by completing and submitting the form below. If you are looking for a specif part number, please include it with your message.